Got too many tools and not enough time? Tired of waiting on developers? 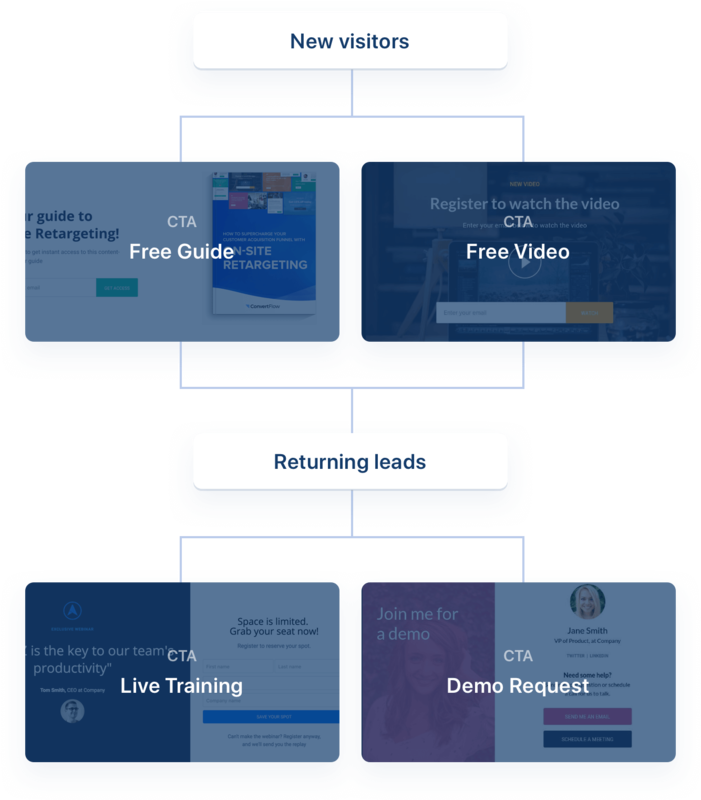 ConvertFlow simplifies your workflow by making it easy to create, personalize and launch campaigns on your website in minutes. 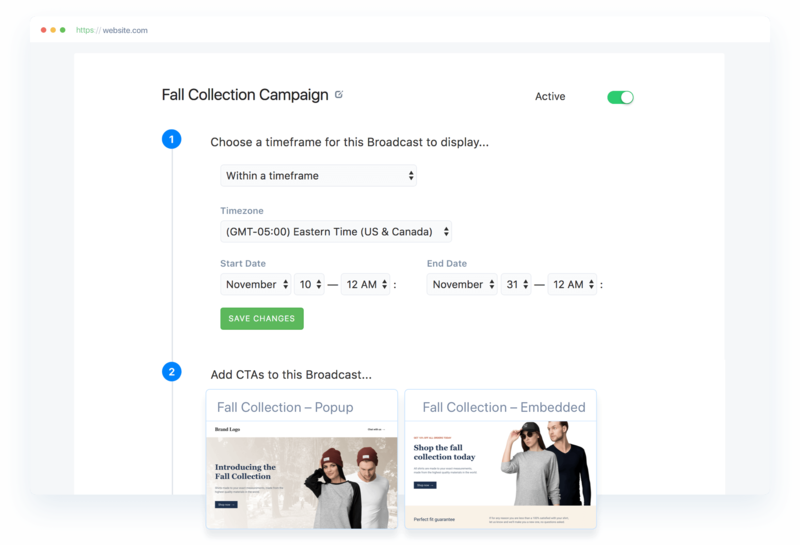 Promote your popups, sticky bars and embedded CTAs together as a campaign using broadcasts. Go live immediately or schedule it to run later! Add targeting conditions to the broadcast campaign. 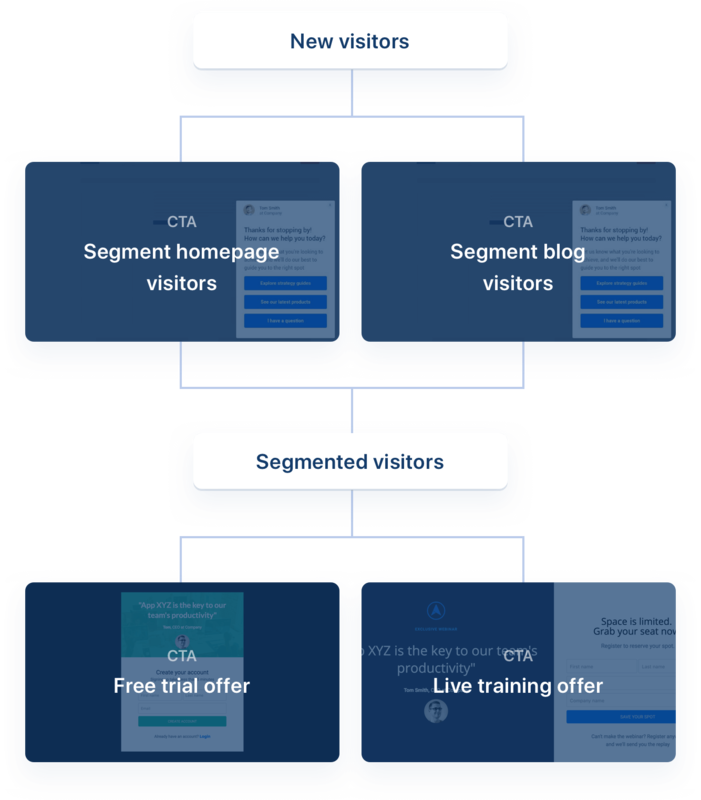 Then, if you want extra precision on your campaign's targeting, add granular targeting conditions for each CTA. Need more than individual campaigns? 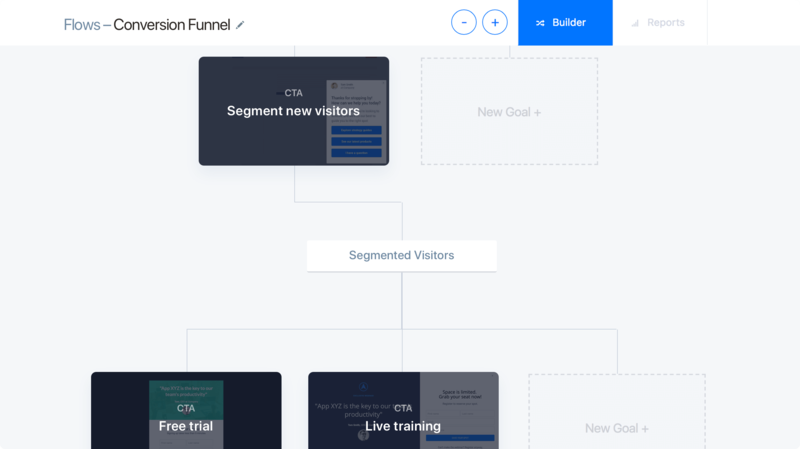 Quickly map out the customer journey for your visitors, and automate lifecycle campaigns on your website with Flows, ConvertFlow's campaign builder for lifecycle personalization. 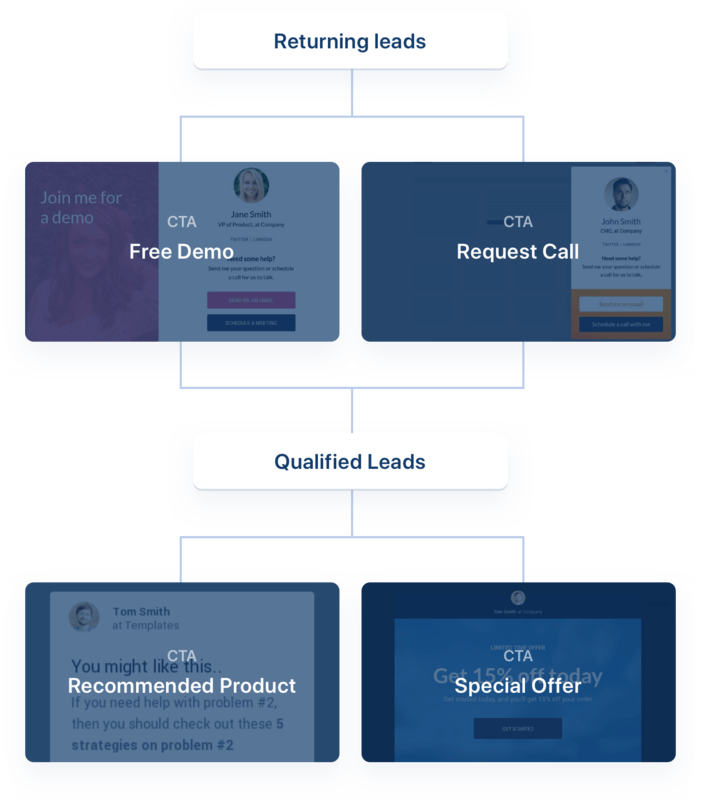 With flows you can dynamically switch out calls-to-action across your website, so you're always promoting the next step in the funnel for each visitor. 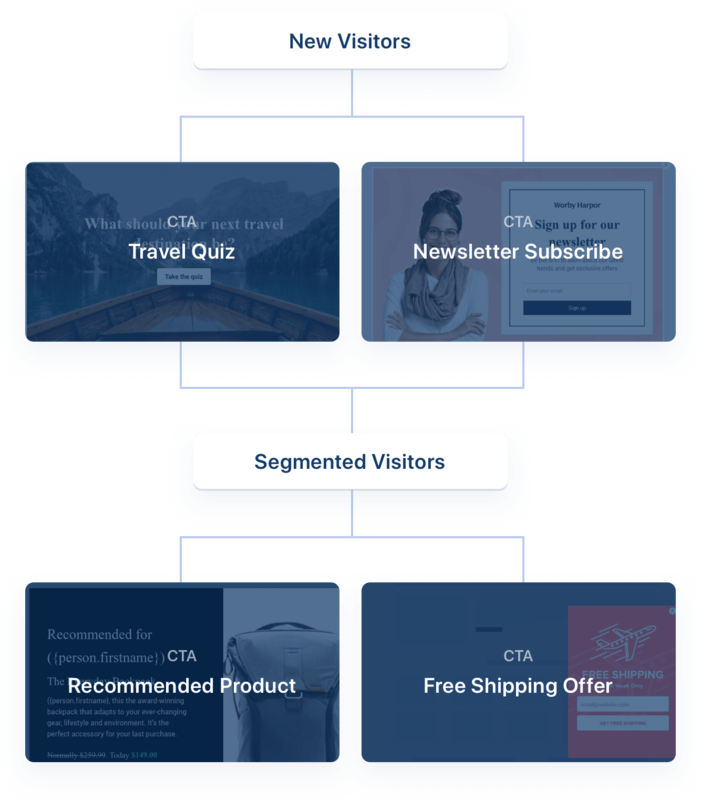 Always promote the right product and content by creating personalized flow paths based on how you segment your audience. 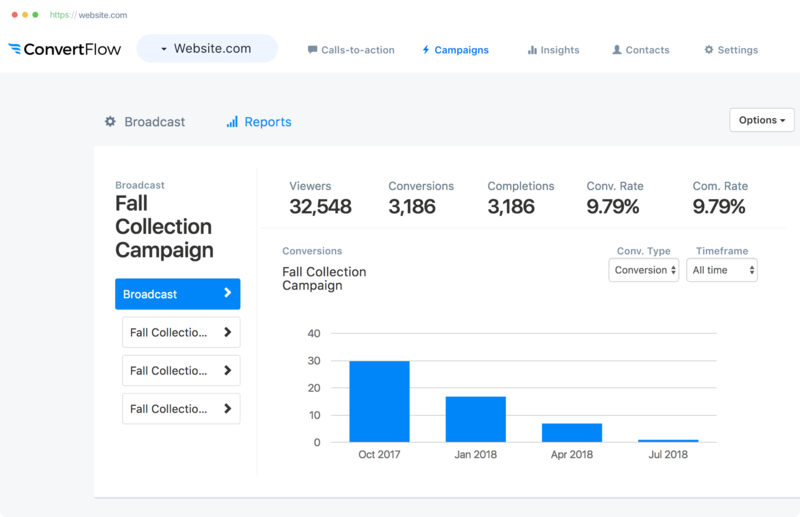 Every campaign in your flows can target contact segments in your integrated ESP/CRM, and can trigger automations to segment contacts in your tools. 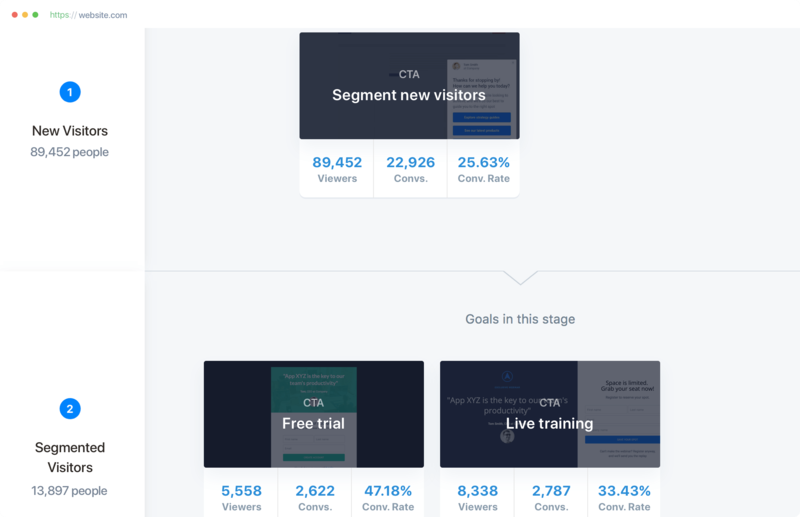 Want to see how your lifecycle personalization campaigns are performing? Flow reports break down how many visitors are progressing through each lifecycle stage and completing each goal. Updating your website to promote a big marketing campaign can take a lot of preparation – from both your marketing team and developers. 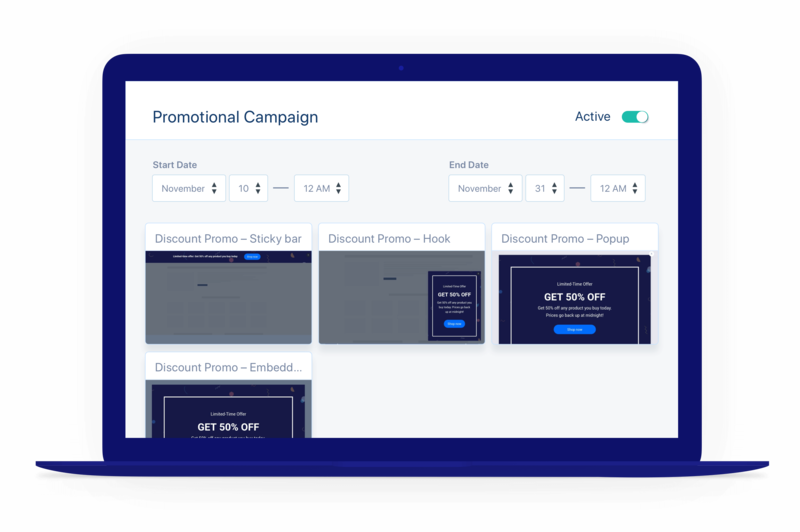 But not for Examine, whose marketing team automates promoting timed-offers and campaigns across their site, without developers or coding.